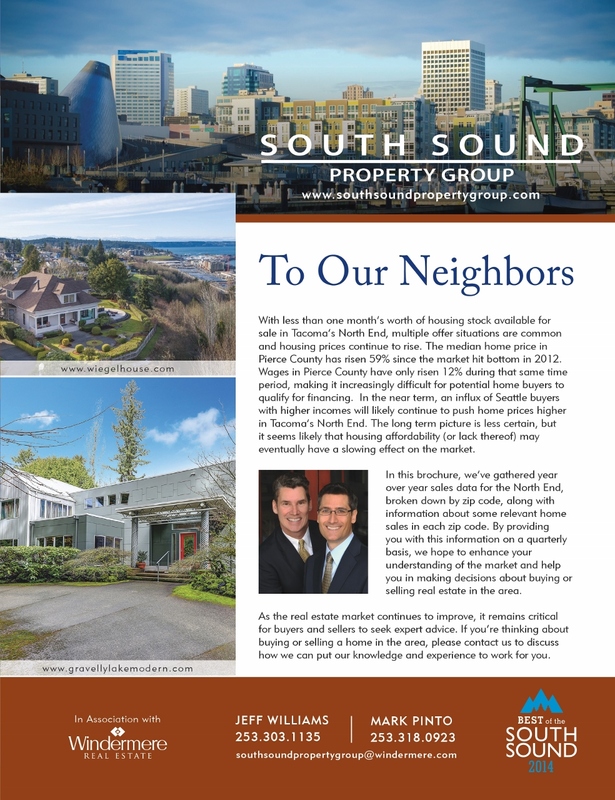 Jeff Williams and Mark Pinto were recently interviewed by Kate Martin of the Tacoma News Tribune to explore the current trends for the over million dollar housing market in Pierce County. 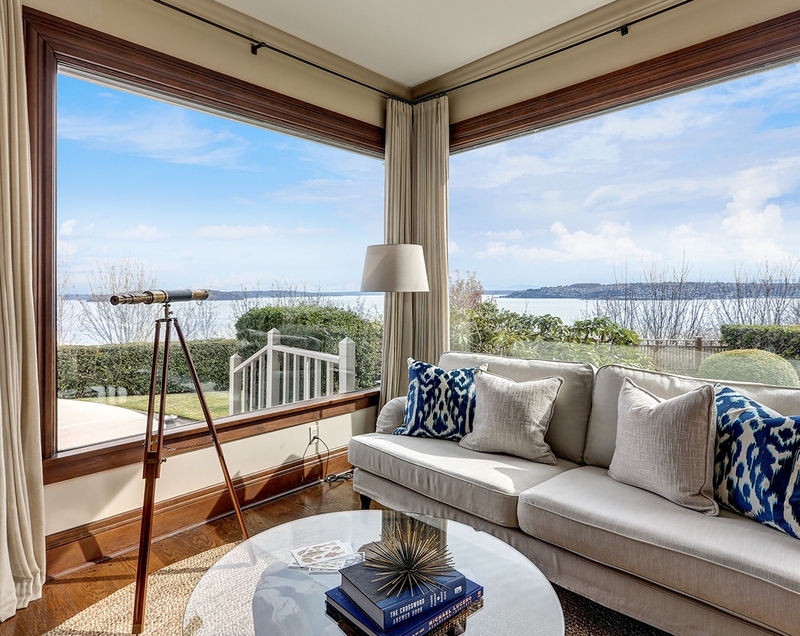 As the listing agents for three of the over million dollar listings that are currently pending sale in Pierce County, they shared insight about buyers for these luxury properties and their experience in the luxury market. In recent months, dozens of million-dollar abodes have sold or are in the process of closing. 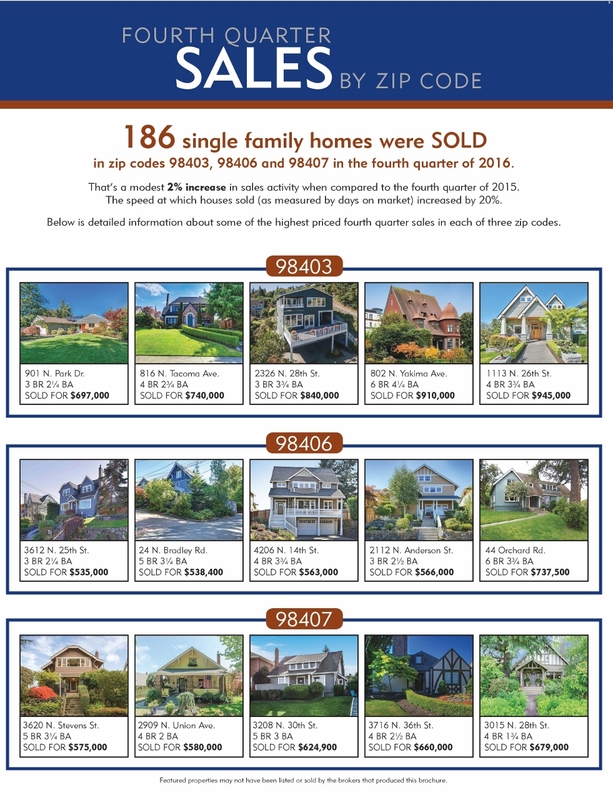 If the pace keeps up, sales of homes worth a million dollars or more could eclipse the record of 86 sales set in 2007. 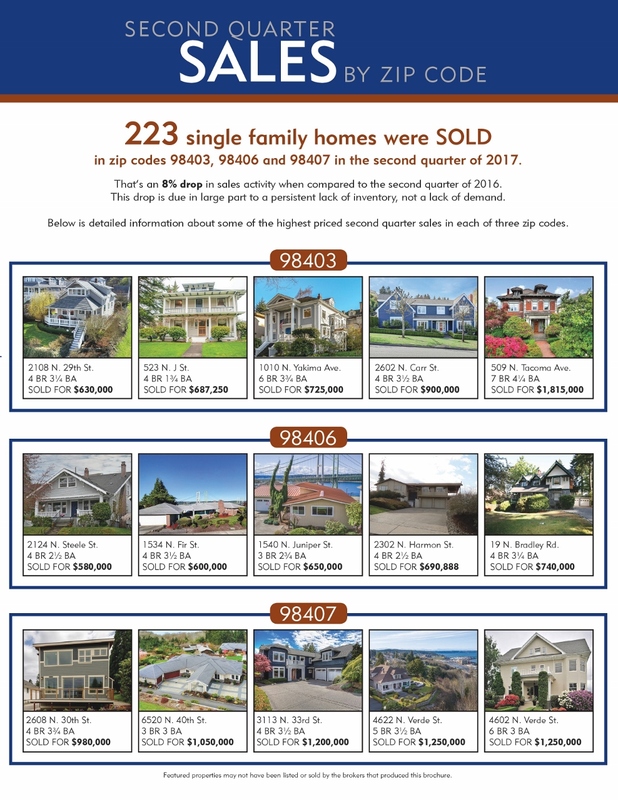 Where are these buyers coming from? 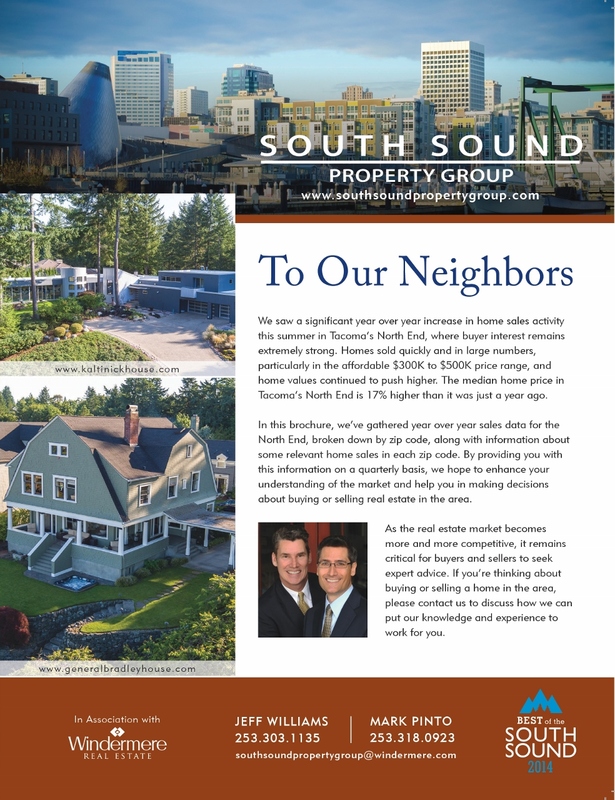 Many fly in from other parts of the country, said Jeff Williams, a real estate broker for South Sound Property Group, part of Windermere Professional Partners. 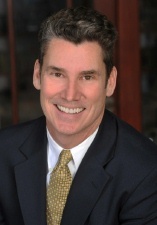 He works with fellow broker Mark Pinto. 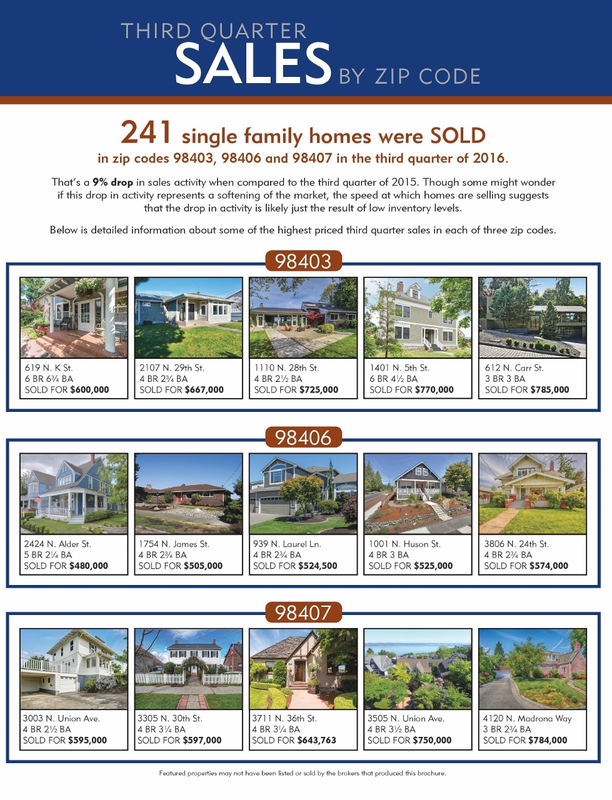 One historic home in Tacoma’s North End is listed by Williams and Pinto at nearly $1.3 million. Its sweeping views of Commencement Bay, and the Olympic and Cascade mountains drew 25 showings in three weeks — a pace unheard of just a few years ago, Williams said. The final sale price was not available. 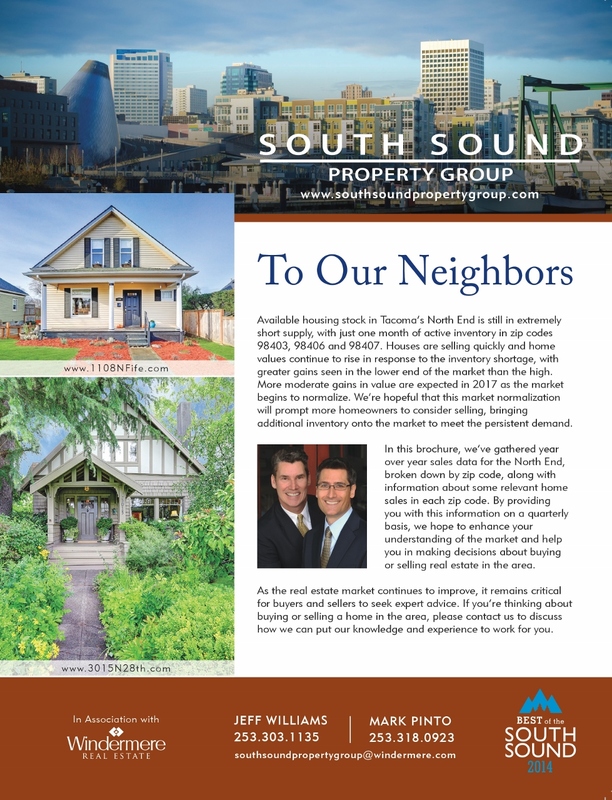 Williams and Pinto work together to sell luxury and historic properties in Tacoma, Lakewood and Gig Harbor. 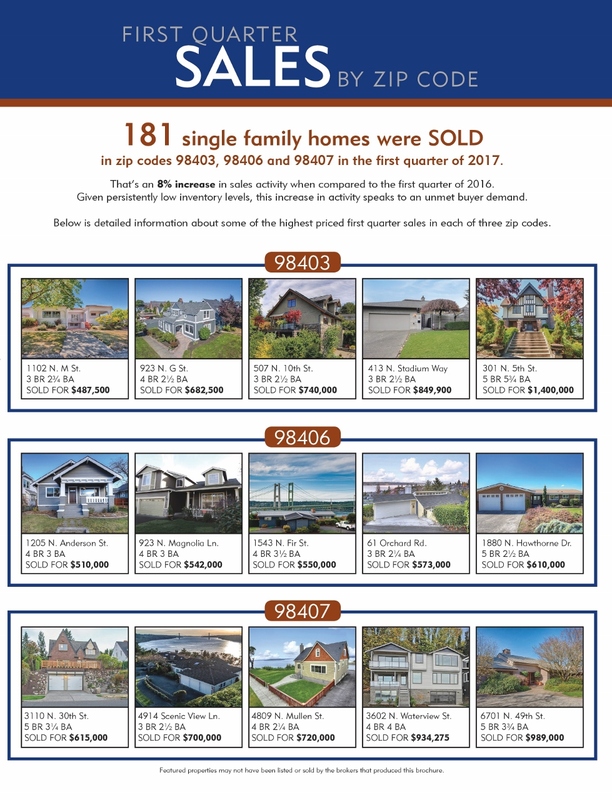 They said the luxury or “trophy home” market has heated up in the county in the past six months to a year. 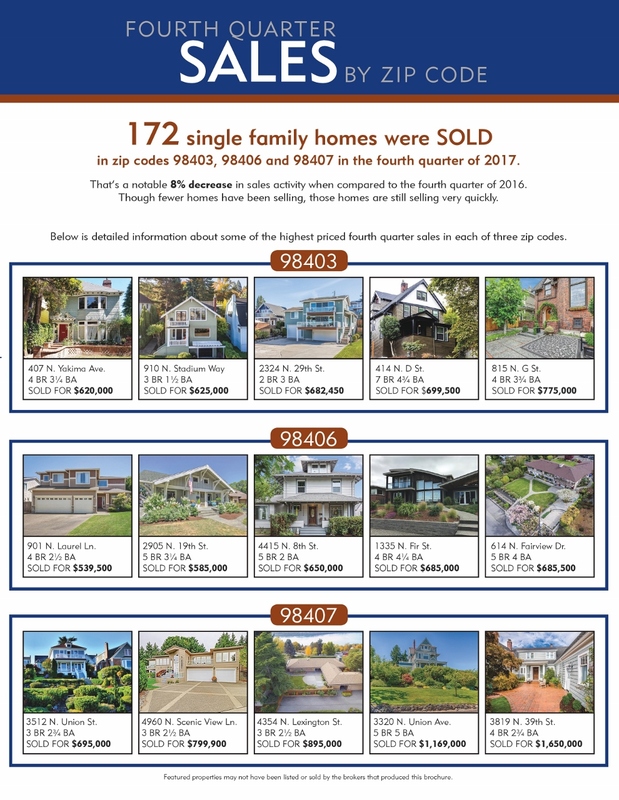 Redfin recently conducted a study looking at more than 7 million home sales over the course of the past four years to determine what impact, if any, seasonality had on the sales process. 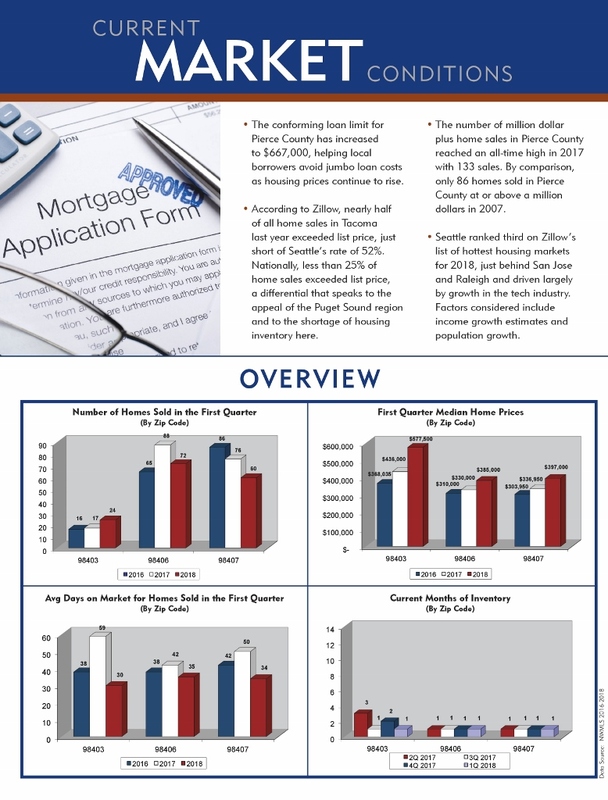 Not surprisingly, the study confirmed that listing your home for sale in the springtime was likely to result in a quicker sale and a higher sale price (see full study here). 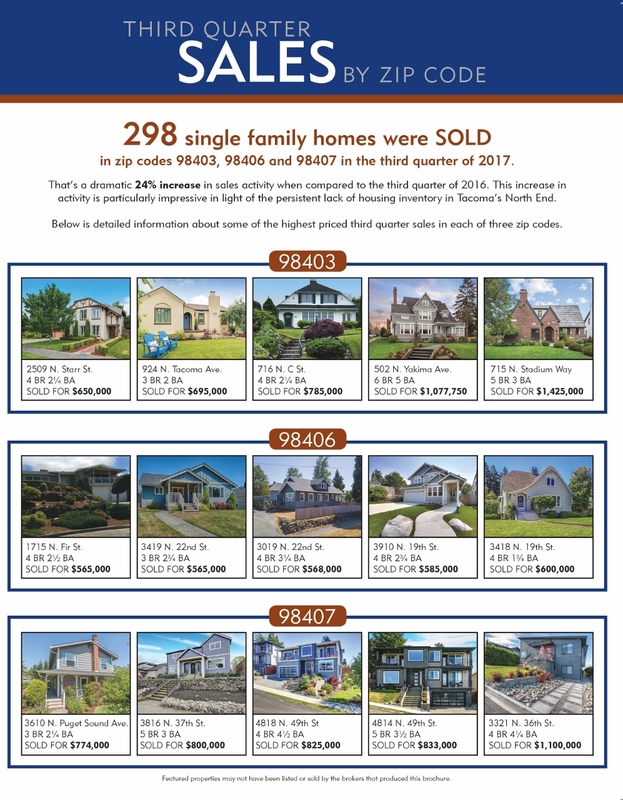 What was surprising to some is that listing your home in the wintertime was a close second. 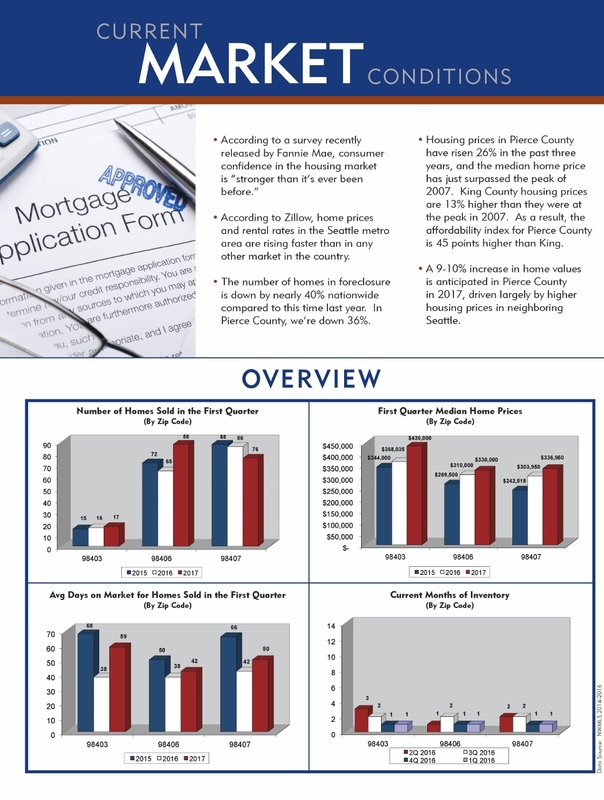 That’s why we encourage our clients to have their houses ready to go on the market in late January or early February. 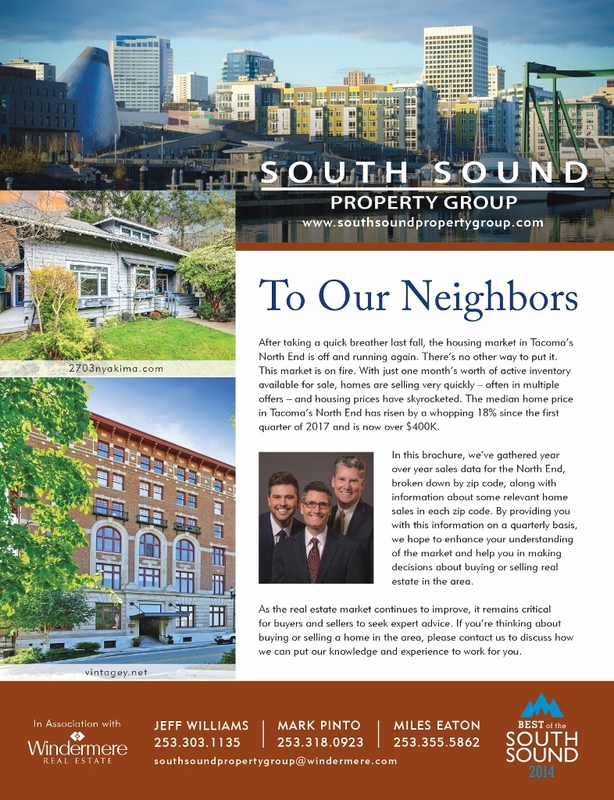 However, given the persistent shortage of housing inventory in the North End, we are telling our clients to list now if it makes sense for their schedule. 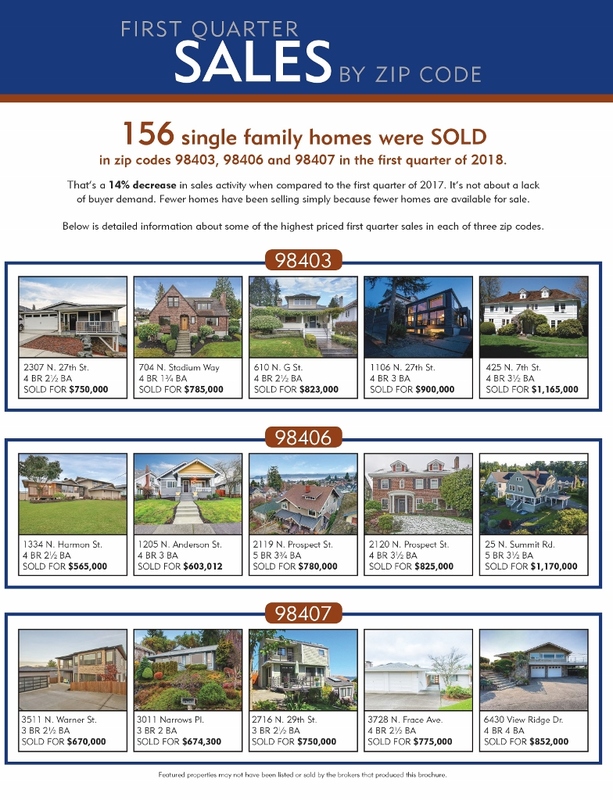 If you’re thinking about listing your home for sale in the next 6 months, keep in mind that most of your competition will choose to list their homes in the spring. 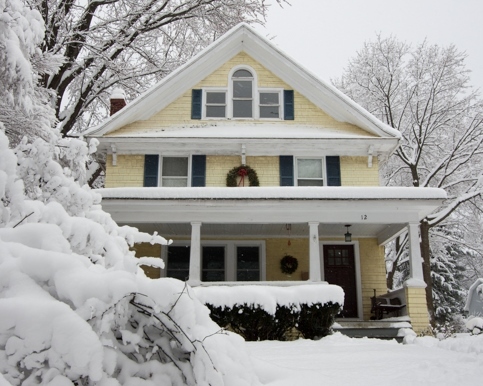 Listing your home this winter could position you more favorably with motivated buyers who don’t have a lot of good inventory from which to choose. 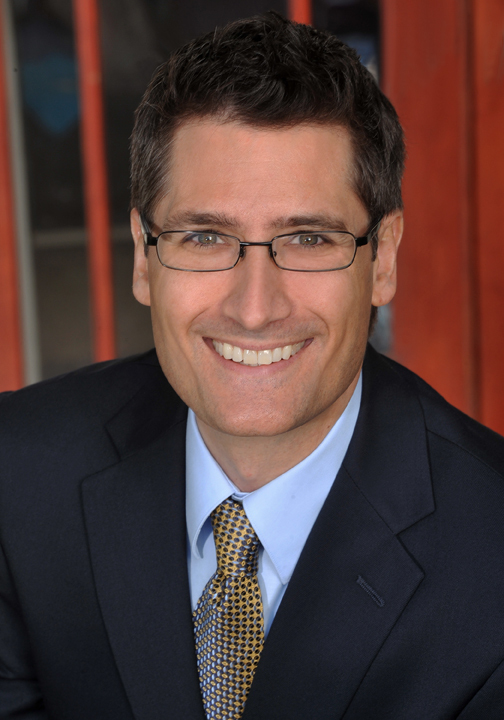 Mark Pinto is a top-producing Realtor with Windermere in Tacoma specializing in the purchase and sale of historic and luxury homes. 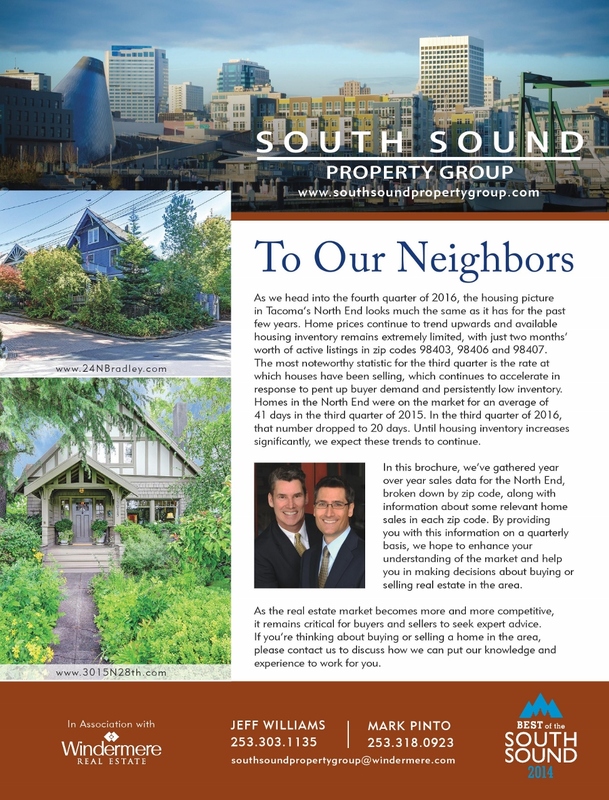 Click here to e-mail Mark or feel free to give him a call at (253) 318-0923. 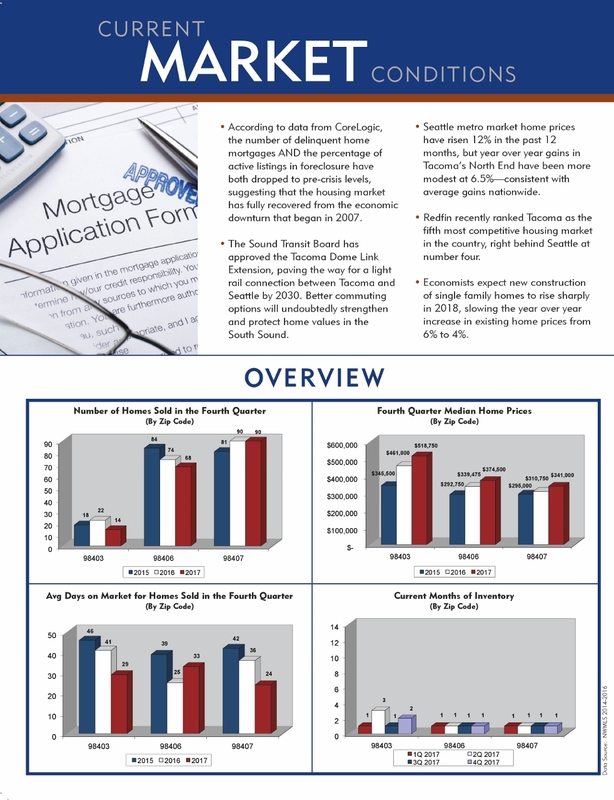 “Housing demand is rising rapidly, but a key cog in the wheel to homeownership is in deep trouble. The people most needed to close the deal are disappearing. 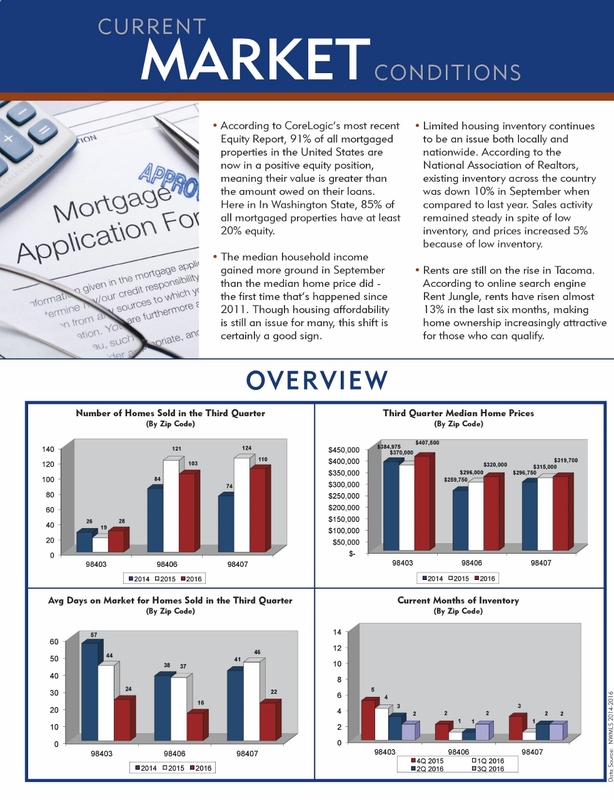 Appraisers, the men and women who value homes and whom mortgage lenders depend upon, are shrinking in numbers. That is causing growing delays in closings, costing buyers and sellers money and in some cases even scuttling deals. 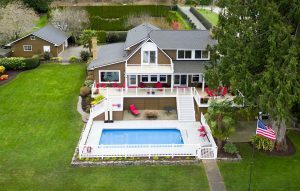 Our advice to our buyers and sellers is to factor in a minimum of 2-3 additional weeks time from what we would consider a normal 30 day closing. 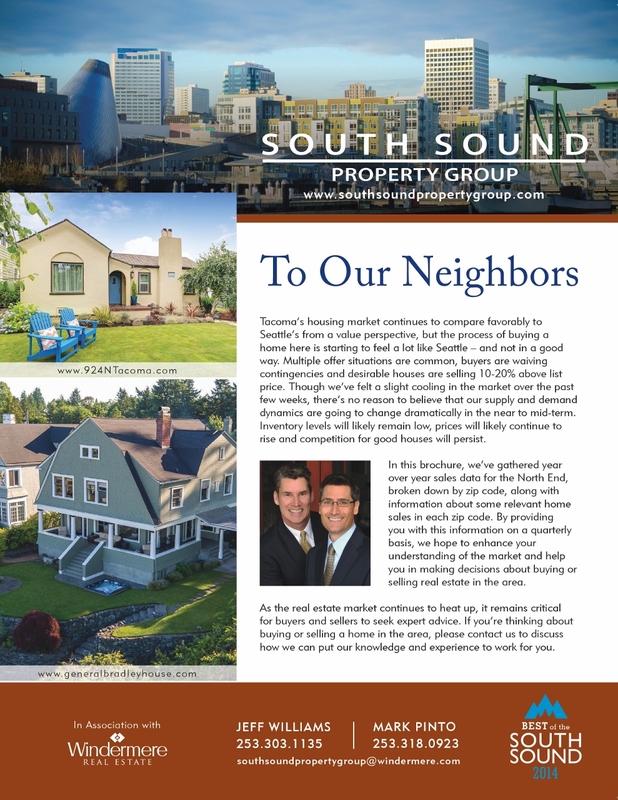 It’s important to note that it’s become an even bigger problem for specialty properties such as waterfront, luxury and historic homes and for properties located in outlying areas such as southern Pierce and Thurston counties. 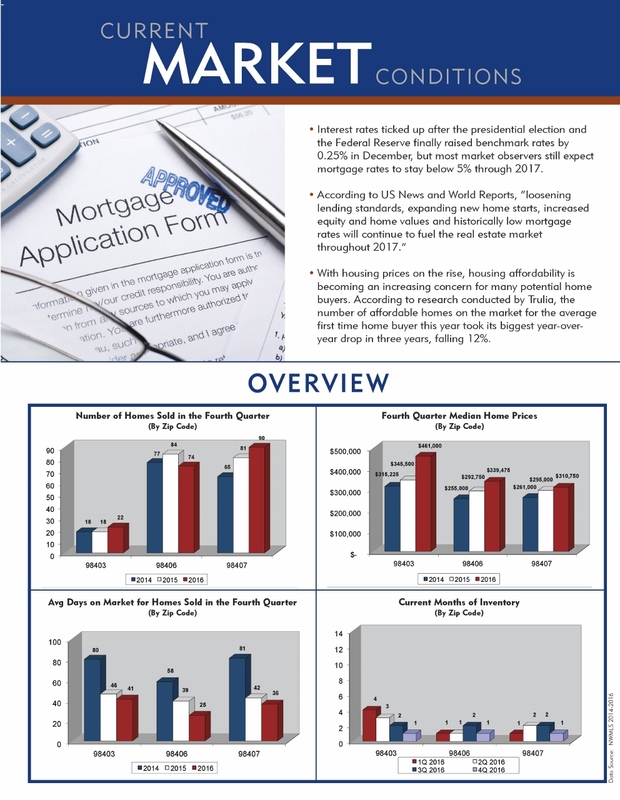 With lenders being forced to pay premiums for appraisals, we’re hopeful it will lead to more qualified appraisers being attracted to enter the field. 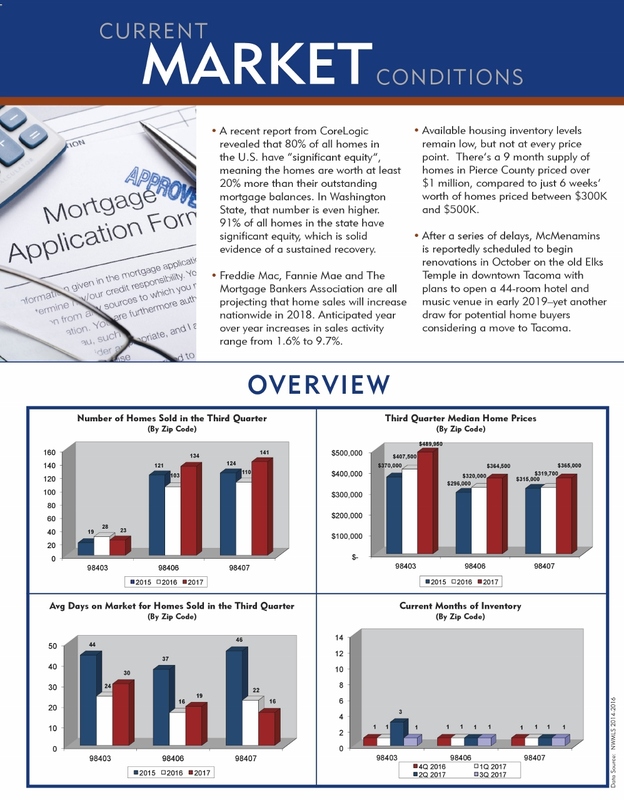 However, that transformation will not happen quickly enough to satisfy those of us that counsel home buyers and sellers every day. 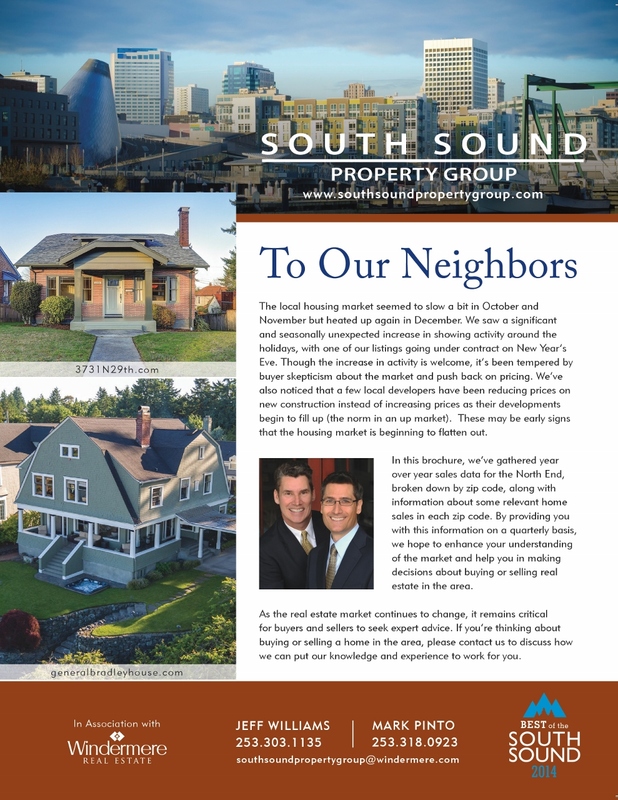 Jeff Williams is a top-producing Realtor with Windermere in Tacoma specializing in the purchase and sale of historic and luxury homes. 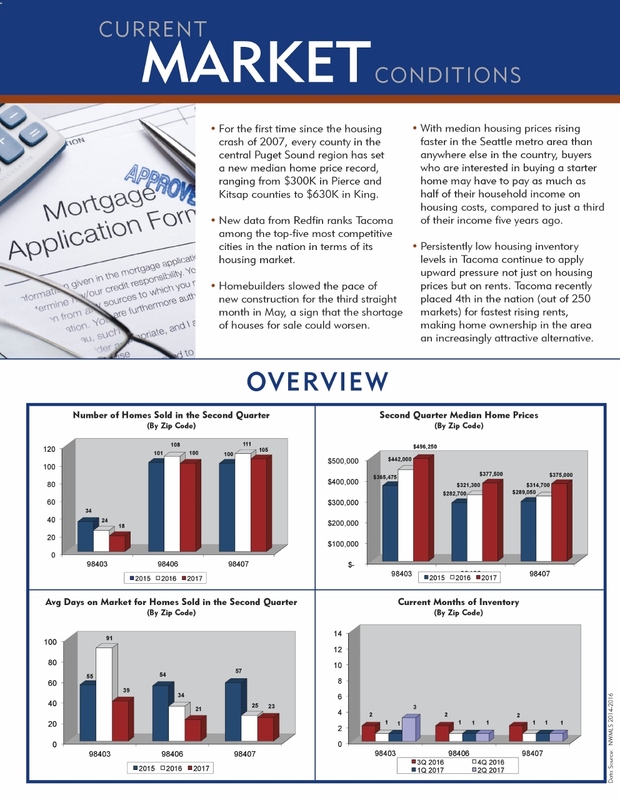 Click here to email Jeff or give him a call at 253-303-1135.